A weekend collision on Interstate 93 near exit 3 left two motorcyclists injured. The collision was reported to authorities on Saturday morning at around 10:00 am. First responders rushed to the scene of the crash. Upon their arrival, they discovered two motorcyclists lying in the roadway suffering from serious injuries. Both motorcyclists were located in the high speed lane of the highway. Firefighters from the Salem fire department responded to the crash. They found one motorcyclist lying on the ground against a guardrail. The second motorcyclist was lying just north of the first. One patient is described as having multiple abrasions which are not considered life threatening. The second is described as having lower back and lower leg injuries, along with multiple abrasions. It is unclear if the second man’s injuries are life-threatening. Both patients were transported to a Boston hospital as the investigation of the crash remained ongoing. The current condition of the victims has not been revealed. Authorities have also not identified either motorcyclist in the crash. A motorcycle accident is an inherently dangerous event. While some automobile passengers are highly likely to walk away from an accident without any injuries, motorcyclists are often not as fortunate. 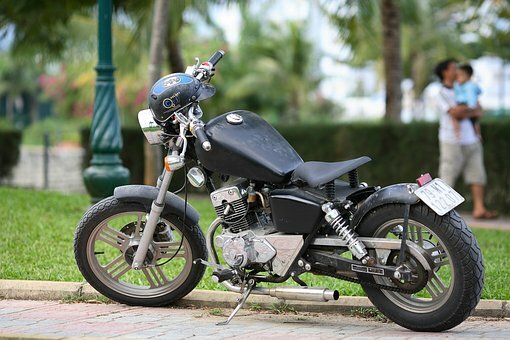 The reasons are obvious: a motorcycle does not provide the same protection as a car or larger vehicle and motorcyclists may be traveling at a higher rate of speed. Motorcyclists typically have only a helmet to shield themselves from the effects of a traffic crash. For these reasons, motorcycle accidents often end up causing catastrophic injuries and even death to the victims. At the Law Offices of Jeffrey S. Glassman, our attorneys and staff have extensive experience in Massachusetts motorcycle accidents. We have handled these cases for years and know how to obtain successful results for innocent accident victims. Where negligence comes into play, you have legal rights that you can and should fight to protect. In order to adequately protect your rights, you need a competent and experienced attorney. If you would like to speak with one of our Boston attorneys about your personal injury case, please call us at 617-367-2900 today. We offer free consultations. If we take your case, we do not get paid unless you win. Let us help you through this difficult time.